February in Istanbul. 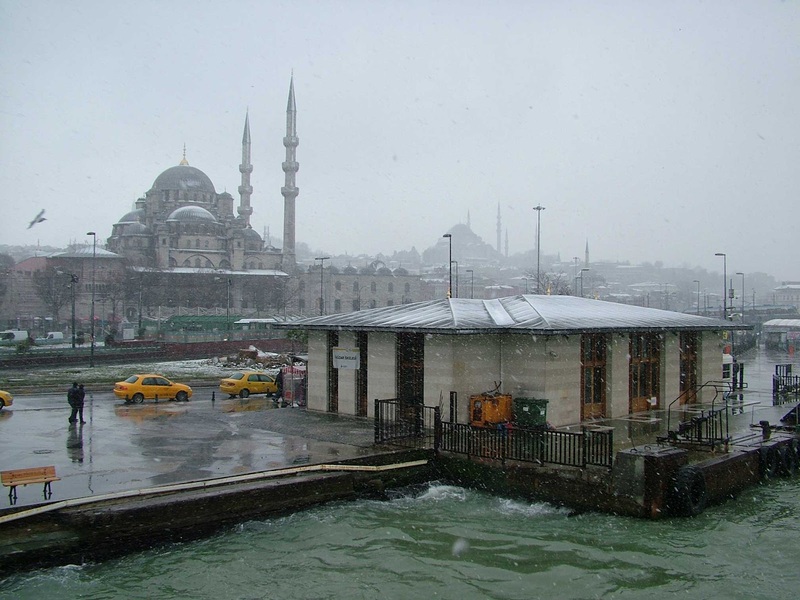 This is the New Mosque in Eminonou in the snow from the ferry across the Bosphorus. The yellow cabs are the only colour. Just beautiful. My plan is to use this blog as a kind of sketchbook. It’s to be an ongoing record of visual and other things that catch my imagination. That and what I might do with them. This entry was posted in Architecture, Turkey. Bookmark the permalink.